Fueling up in Springfield, Colorado. Sun is shinin'. "Always Chasing" describes my desire to never stop pursuing my goals and dreams (pardon the cliché). There are always storms to chase and trails to explore. This blog is a repository of those adventures... pursuing severe/adverse weather, visiting new places and exploring the natural topography of my surroundings. It is an outlet for my amateur pursuit of photography with my point-and-shoot camera as well as a forum for discussing meteorological events. 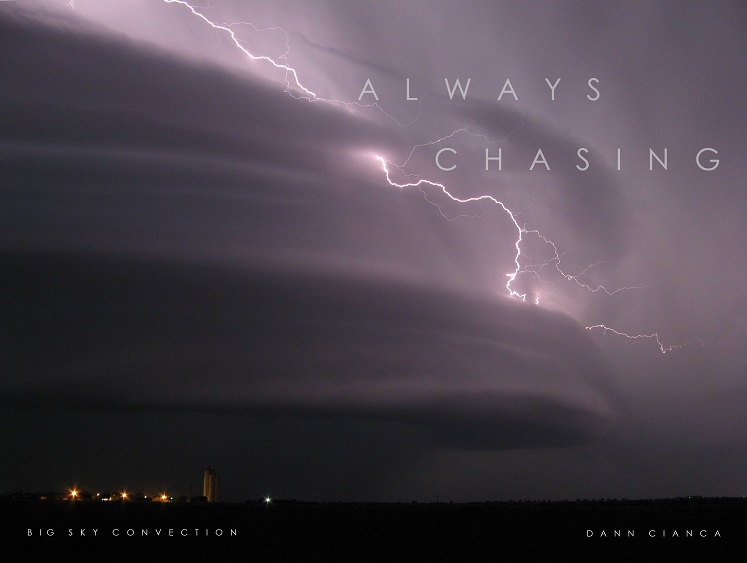 The name "Big Sky Convection" will remain, but I feel that "Always Chasing" more accurately describes my direction. The Slow Death of Photographic Artists, Part One: The Glowing Box of Control. Do The Dew! Skinner WXLogger! New cracks in the wind shield! Big hail!!!! In Shamrock, Texas waiting for somethin' to pop. "Jon Davies' Severe Weather Notes"
"Jon Merage's Storm Chasing Blog"